Sales isn’t always an easy function and it’s definitely not always fun. Even when your quarter ends well, you need to strive to beat it next quarter, and let’s not even mention how painful a bad quarter can be. As a veteran sales leader, these are my tips for supercharging your sales numbers next quarter. Warning: you may not love everything I have to say. First and foremost, take a forensic look at your sales spend by rep. Per the 80/20 rule, the top 20% of your reps are bringing in 80% of your sales. Ask yourself the hard question: how expensive is the bottom 80% of reps and are they worth it? By evaluating the ROI of each of your reps you can determine where in your staffing plan you’re losing valuable dollars. Compare that spend against the other options available for that capital like employing lead generation services, buying contact lists, or investing in process efficiency. Lastly, take a look at sales spend against marketing spend. Are there certain functions, like prospecting, that sales is currently paying for which marketing should own? Now that you’ve identified sales spend per rep and the target ROI per rep, you can identify your closers. This is the top 20% of your sales team who always make or exceed quota, and close strategic business for the organization. Once you know who they are, focus your sales investment to make closers even better by providing trainings. Mathematically, this group is going to produce the highest ROI and your investment here is of greater value than investing in reps in the bottom 80%. Remember: coffee's for closers. Let’s talk about that bottom 80% of sales reps for a second; how did they get there? 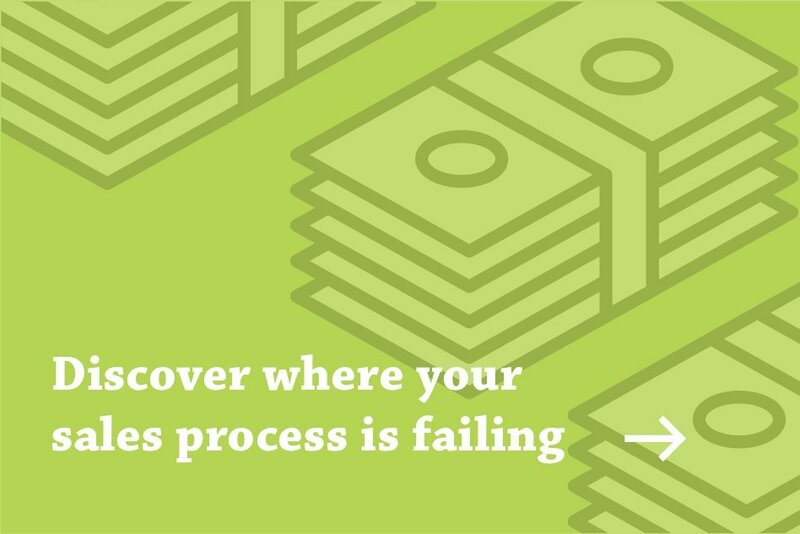 It could be that your sales strategy has fallen into the trap of overinvesting in hiring a bigger sales team, when what it really needed was process investment. There is risk involved in overinvesting new sales reps because the fact is, most companies — SMBs in particular — have sales processes which are relationship driven and rest on the personality of reps. This is risky because people lack replicability and scalability, plus they’re expensive. Focus your efforts on building repeatable processes and automating the sales process rather than hiring a squad of college grads, as these activities will provide more consistency and scalability. Generally, SMB organizations rely on two mediums to attract and communicate with prospects: person-to-person communication and email. But this is a digital world, and that strategy doesn’t adequately take advantage of option available. An omni-channel distribution strategy targets your buyers wherever their attention is focused so you have the best chance of opening a line of communication with them. In many cases, companies who deploy omni-channel distribution strategies tend to have a lower CAC and a granular understanding of what goes into that cost. Taking these steps to evaluate your sales spend, individual rep performance, processes, and channel strategy will help refocus your efforts for next quarter so you can exceed your numbers. If you’re interested in completing an assessment of your current sales efforts, request a consultation!